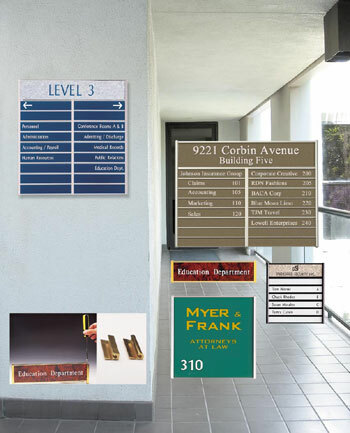 Changeable directories provide wayfinding assistance and personal recognition. So often companies ignore the amount of goodwill that can be gained through easy location of offices and/or personnel. With a changeable directory system, your ongoing maintenance is easy and inexpensive. 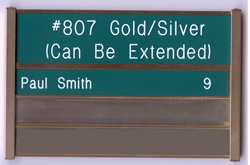 These directories come in 20 standard sizes and in 5 anodized colors designed to make tamper resistant signs and directories and accommodate your needs. 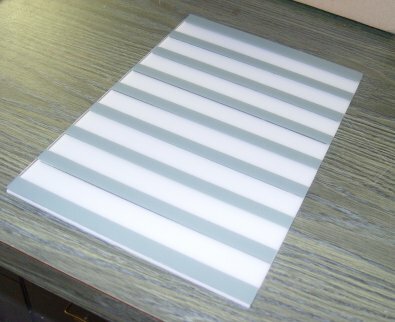 • Standard sizes available: 2" x 8", 2" x 10", 3" x 12", 6" x 18", 6" x 6", 12" x 12", 8" x 8", 8" x 6". • Frames sizes fit together to create directories. • Additions of vertical dividers create multiple columns. • Directories include a header piece to produce a finished looking directory. • Available in either a round or square side posts. • This can be configured so as to allow a base to be added in order to allow them to stand like desk holders, up to a maximum sign height of 12". • Custom Sizes are available. Call for a quote. • Frames may be subject to crating charges depending on size. 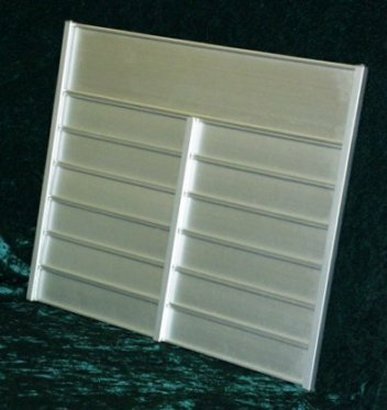 This product can contain inserts in a wide variety of colors both front and reverse engraved (see our color chart here) . 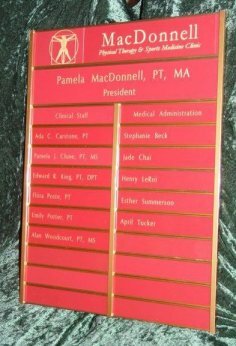 Talk to us about directory signage needs: we can produce indoor or outdoor directories that will provide years of service and goodwill. We do bilingual directories too! just let us know what you need. and reverse engraved, green paint filled pieces on right. it's an example of your many options. Looking for a more simple product? Check our page of Framed Signs and Wall plates! Below are examples of directories we've done recently. Does your directory change daily? Hourly? This picture shows a changeable directory for printed inserts made to our customer's specifications. Give us a call and we can explain further. It's inexpensive to buy and very easy to maintain. 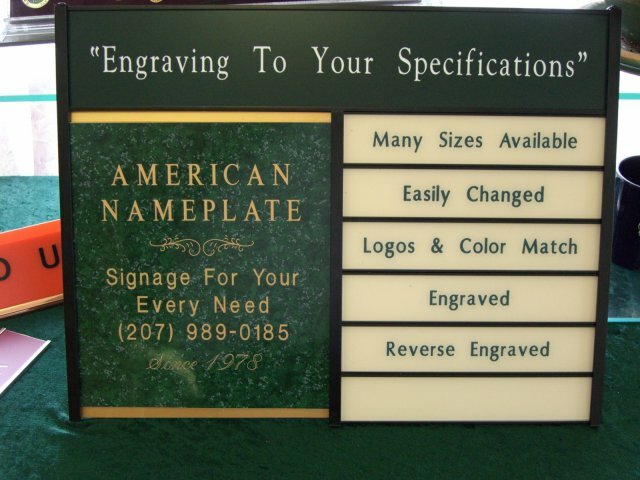 We can provide an engraved header plate to identify your company or the sign location if you wish. Looking for a 'door slider' to mark a room as available/unavailable, occupied/unoccupied, or whatever? You just need to click here.